Do you have “lift-o-phobia”, but you want to be stronger? How about “bulk-a-phobia”, and yet you want to be more defined? Are you bored of your current fitness program or looking for something new? Perhaps you can’t afford an expensive gym membership, or are unable to get to the gym due to family ties? Are you looking to get stronger but the world of strength training is too daunting to even contemplate? Then my brand new course is for you! “The Kettlebell Cure” is an online kettlebell training program designed specifically for the complete beginner. When I was young lifting weights was something only serious bodybuilders did. The only weights I owned were tiny 1kg dumbbells and wrist and ankle weights – which were used during cardio classes. There was – and still is – an irrational fear of “bulking up” amongst women and the very thought of lifting anything heavier than a couple of kilos (or pounds for our friends across the pond) fills them with dread. But the science is out – and lean tissue (muscle) is now being regarded as important as any other vital sign such as your heart and lung capacity, liver function etc… Lean tissue is much more metabolically active than adipose (fat) tissue, and will help towards keeping us leaner, stronger and healthier. Regular strength training may reduce your risk of a heart attack or stroke from between 40-70% according to a recent study. Less than one hour of resistance training has also been linked to a 29% lower risk of developing metabolic syndrome, which can lead to heart disease, diabetes and stroke. And it’s not only our muscles that benefit from strength training – our bones also get stronger and denser, which means that you can significantly reduce your risk of developing conditions such as osteoporosis. Building muscle can help you to improve your joints, increasing mobility and who doesn’t want that as they age? But there is a fear that lifting weights will result in huge, unfeminine muscles. (Trust me ladies, if that were the case I would be looking a lot like Arnold Schwarzenegger by now!) Becoming a bodybuilder takes a huge commitment to both weight training and diet – plus very often some “supplementation” along the way for women to develop that kind of musculature. 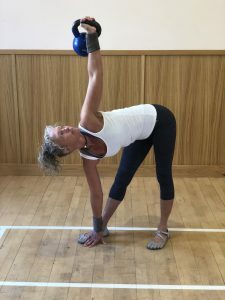 Using kettlebells for strength training will develop your lean tissue, sure, but it will result in a more defined body shape, becoming stronger, enabling you to perform everyday tasks much more easily, and helping to mobilise fat so that you use it for energy – and lose a few pounds in the process. A new hormone, called Irisin, was recently discovered and has been shown to fight fat by activating genes and a protein that transforms white adipose (fat) tissue into brown adipose tissue, which is more metabolically active and continues to burn energy even after exercising. Irisin also appears to inhibit the formation of fatty tissue. Irisin is released during moderate aerobic and endurance activity, when the cardiorespiratory system is activated, and when the muscles are exerted – something that a kettlebell workout will absolutely do for you! Higher levels of Irisin have been shown to reduce arterial plaque build up in mice, combatting inflammation and preventing atherosclerosis. It is also believed to induce apoptosis (cell death) selectively in cancer cells. Training with kettlebells is a fantastic way to not only build strength, but to be able to raise your heart rate significantly, without any jumping about, which means it is ideal for anyone who already has joint issues or knee or hip problems. It is also a great way for anyone who is overweight to start doing some physical exercise, because there is no impact on the joints and it can be scaled easily to your ability. “The Kettlebell Cure” Beginners Course is exactly that – for beginners. If you have never done any strength or resistance training before then this is for you. It is suitable for both men and women who are interested in improving their health and fitness because they want to be able to move well as they age. “The Kettlebell Cure” provides you with quality coaching from trained and experienced kettlebell coach, Lisa Bailey. Each lesson has been carefully developed to enable you to learn how to master the kettlebell, simply, effectively and safely. You will move through the program, starting with the basic hip-hinge movement to being able to complete whole workouts by the end. “The Kettlebell Cure” can be done with minimal equipment, in a small area – no gym membership required and the freedom to learn at home, in your own time, at your own pace. Start to see REAL results in six weeks. This is not an unrealistic goal if you follow the program and practice consistently. 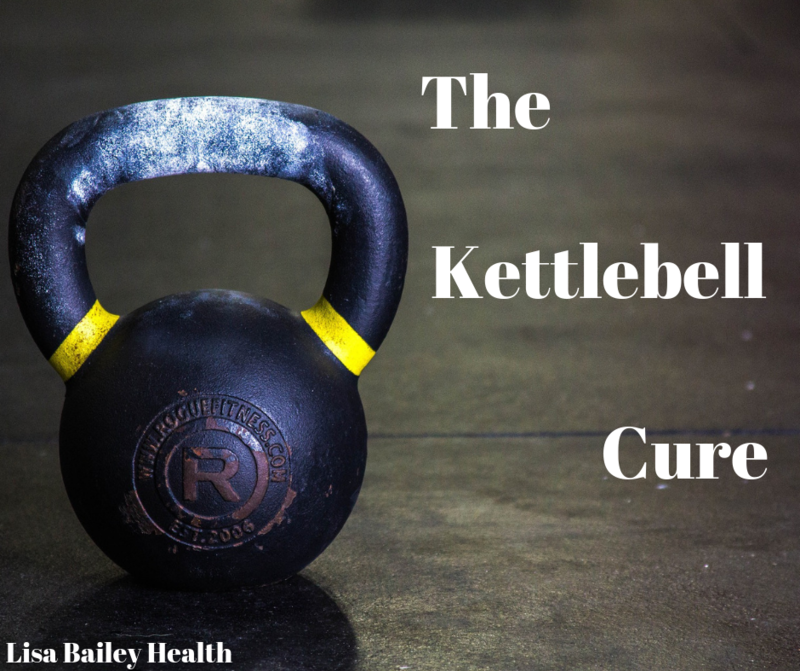 Perhaps best of all, “The Kettlebell Cure” will give you Freedom. Freedom to live your life the way you want because you are stronger, fitter and healthier, enabling you to the things you have to do, the things you need to do and more importantly the things you want to do. Improving your health is in your hands.